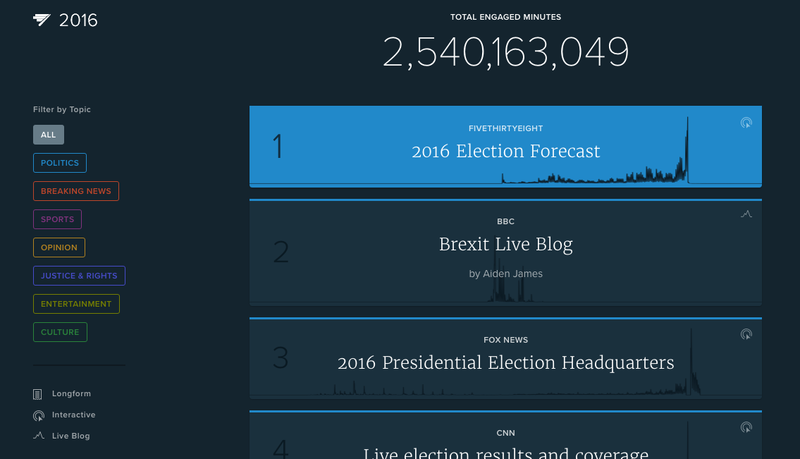 10up client FiveThirtyEight’s political coverage earned the stats-minded publisher four spots in ChartBeat’s top 25 most engaging stories of 2016, including #1 for their 2016 election forecast. This interactive feature provided predictions in the US presidential race, as well as 34 Senate contests nationwide, leading up to the November elections. We love seeing clients like FiveThirtyEight topping the charts alongside long-established publishers like BBC, the New York Times, and NPR.